This is the third post from Alexa Hammer in her Hammer & The Links section of the site. Read more from Alexa here! Over the past ten months of living in St. Andrews I have learned so much about the town and what it has to offer. As a student of the university, a member of the university golf team, and just a resident of the town I have heard so many facts about St. Andrews and the Old Course that really stood out to me. 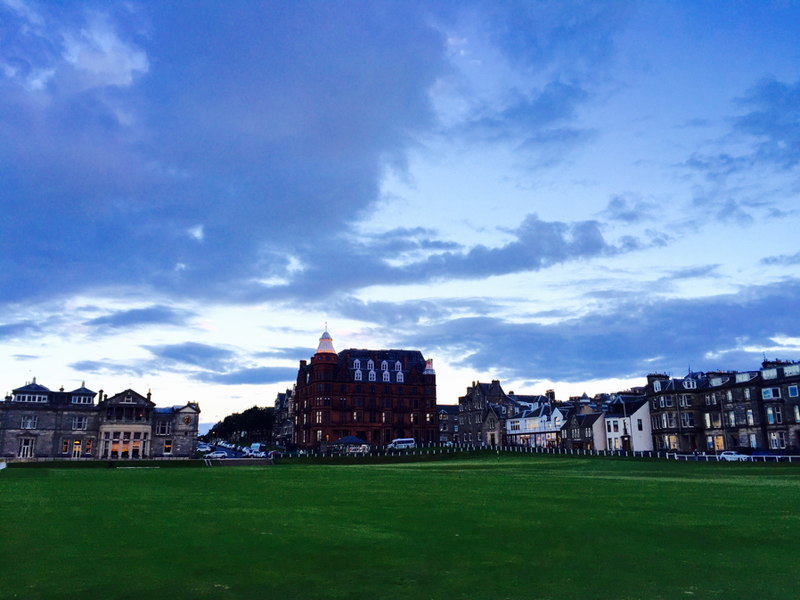 This post shares a few facts about St Andrews that you might not know, but should. This history lesson, including a taste of local knowledge, can help you learn more about the Old Course and St. Andrews. 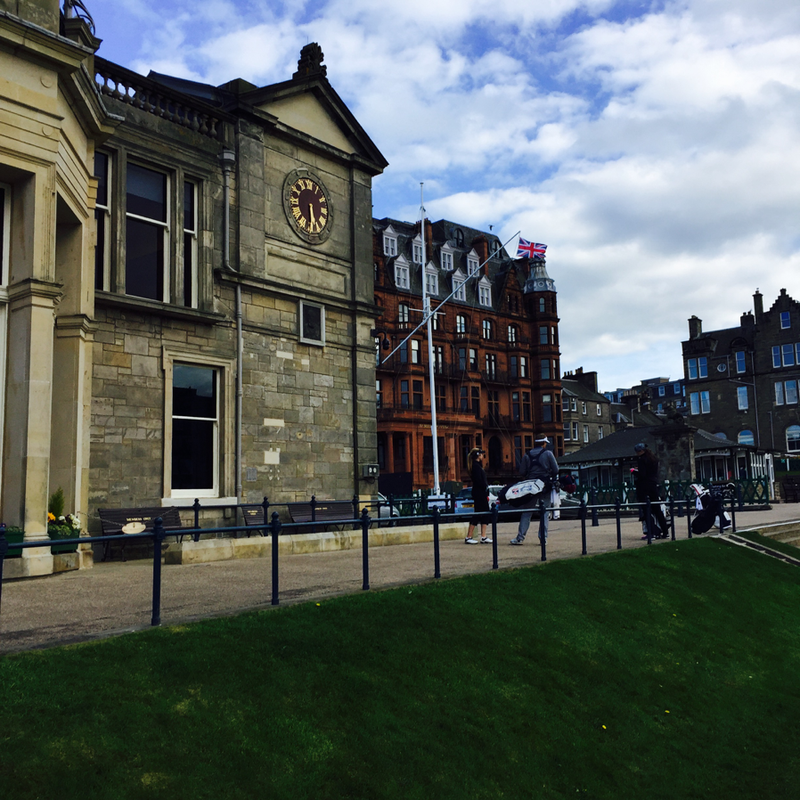 18 Holes– When golf first began the number of holes played in a round fluctuated from course to course, but it was the Old Course at St. Andrews that set precedent for the universal format used today. Originally, the Old Course consisted of 12 holes, noted as early as the year of 1764. 10 out of those 12 holes were played twice, making for a total of 22 golf holes in a ‘round’. Four of those ten holes, which were played twice, were combined into two longer holes. Thus, the original 22 holes in a round were cut to a total of18 holes. Overall, there is much confusion as to how 18 holes came to be, but this is the St. Andrews story of the birth of the 18-hole golf course, which many other courses quickly began to adopt. Cup Size– Legend suggests that the standard size of a golf hole originated from the Old Course green keeper, Old Tom Morris. As the green keeper, Old Tom Morris was constantly trying to find ways to improve the condition of the Old Course. This led to his innovative idea to line the inside of the golf holes with locally found metal pipes to better support the turf and keep the cup size consistent hole to hole. He cut the pipes into pieces, creating the first form of cup-liners. This helped set the stage for the globally standardized golf hole size of 4.25 inches, which the R&A formally implemented in their rules in 1891. Covered Stones on Old Course– When I first played the Old Course, one of the things that caught my eye were the head stone looking objects throughout the course. I later researched the origin of these stones and learned they were a result of the links being used for rabbit farming after the town lost control of the golf course due to bankruptcy. These stones split the land in two- one side was for rabbit farming and the other for golf. The divided and controversial use of the land led to political and physical conflicts known as the ‘”rabbit wars”. Eventually the property was devoted to the links again after a local golfer bought the land, forcing out the rabbit farmers. Now these stones have covers to protect them from stray golf balls and other elements. 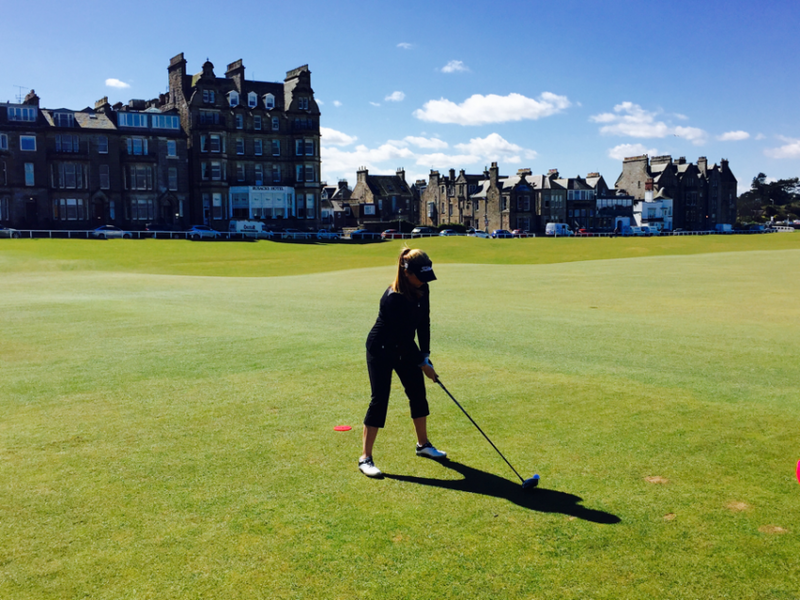 Double Greens– Many who have played the Old Course for the first time were probably in awe at the size of the many double greens throughout the course- at least, I certainly was! But, what further shocked me was the fact that each set of double greens includes two hole numbers that add up to the number 18! The 8 holes that share a double green are the 2nd and 16th, 3rd and 15th, 4th and 14th, 5th and 13th, 6th and 12th, and the 7th and 11th also share a green – each set adding up to 18! 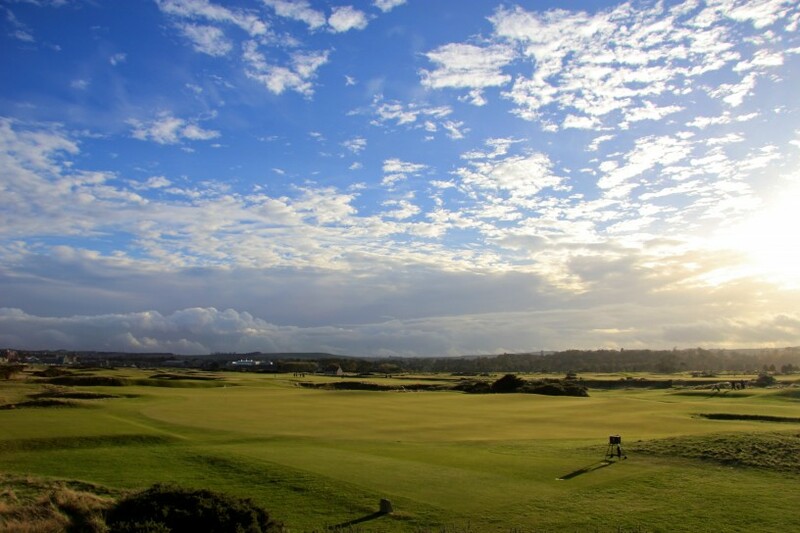 St Andrews Links Ticket– With a St. Andrews Links Ticket, you will have access to seven different courses in the town of St. Andrews, including six 18-hole courses (The Old, New, Castle, Jubilee, Eden, and Strathtyrum) and one 9-hole course (the Balgove). As a Links Ticketholder you can play any of these seven courses any day of the week (with the exception of The Old Course being closed on Sunday). As a resident of the town of St. Andrews and/or student of the University you are entitled to obtain a Links Ticket for £205 a year, which is very inexpensive compared to the single green fee of £175 for one round on the Old Course during high season. This is an example of just how much the courses and the town are one. I hope you enjoyed this first taste of Lessons of the Links. I look forward to sharing more knowledge about St. Andrews in future Lesson of the Links posts! 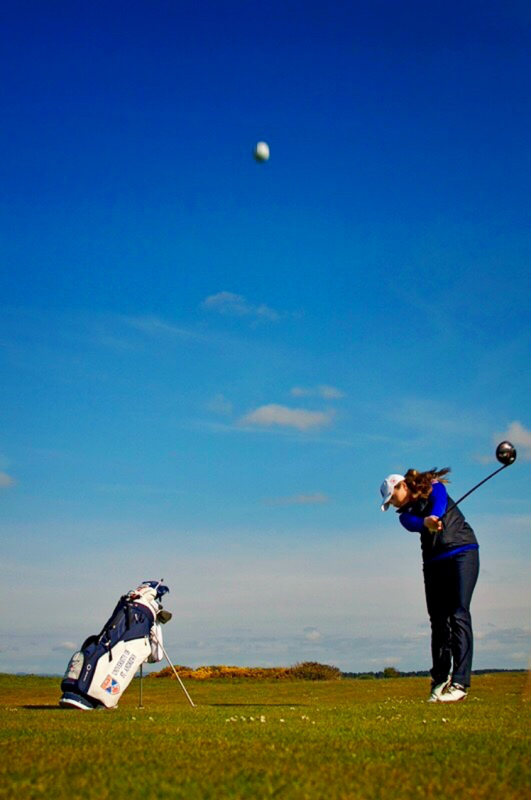 Why Choose the University of St Andrews and Saints Golf? Love the pics and the history lesson! I believe Hole 11 was the first to get a metal cup liner, as it was most exposed to wind and sea. And I always shake my head in envy and disbelief over the cost of the Links Ticket that residents/students are able to obtain. Enjoy! I didn’t know that! Very interesting. Thanks for sharing! Yes! 5 and 13 also share a green, as well as 6 and 12- each set still adding up to “18”! Crail Golfing Society instituted in 1786 ( seventh oldest in the world) just 10 miles south of St Andrews, lays claim to putting the first metal liner in a cup in 1874.Golf has been played on the Balcomie course since the 1850’s ,with the full 18 being completed in 1895 by Tom Morris. However,I have just recently finished reading the book Tom Morris,a Golfing Colossus in which Tom Morris in c.1905, records a near verbatim conversation with an R+A member claiming he had put metal in the cup in the 1840’s out at the point on the Old Course to combat the effects of the wind and drifting sand. James Foulis,a professional golfer, a prodigy of Tom Morris who took up a pro job in the USA,patented the cast hole liner and flag holder c.1905. Would be very interested to hear your views on who was first to use the liner. Gordon Hill,Crail Golfing Society member.